View More In Motherboards - Page 3. 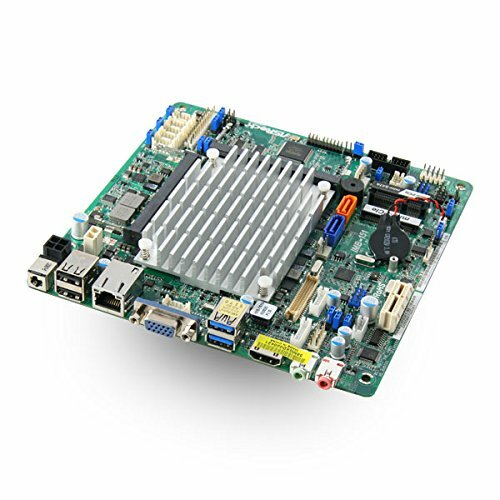 The ASRock IMB-151N is an industrial, Thin Mini-ITX Motherboard designed around the Intel Baytrail platform for embedded computing. An on-board DC-DC converter handles a wide DC-IN range (from 9-19V) for versatility and having the DC-DC converter on-board limits the amount of physical space required for this Thin Mini-ITX motherboard. The Intel Celeron N2930 Quad Core processor provides plenty of power, in an energy-efficient package, for a wide range of embedded applications including: gaming, signage, kiosks, POS, panel PCs, etc.